They did not. 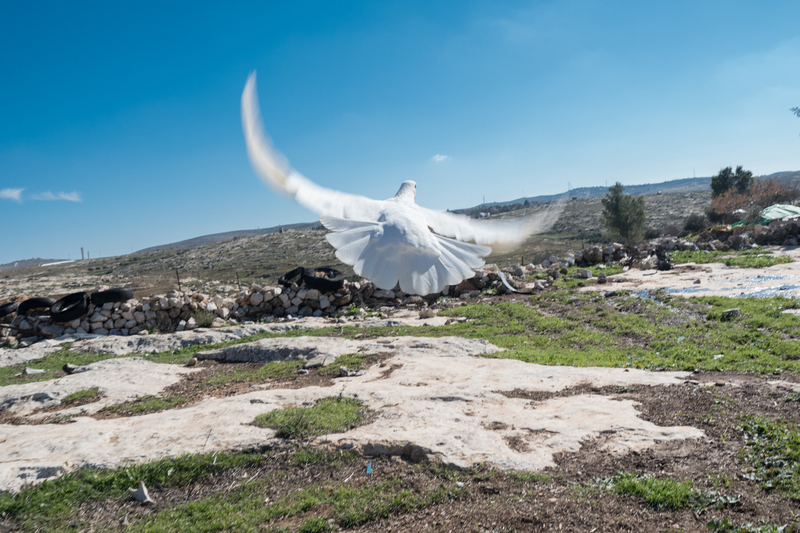 Qaryatayn was destroyed, along with about 400 other Palestinian villages that were razed between 1948 and the mid-1950s. 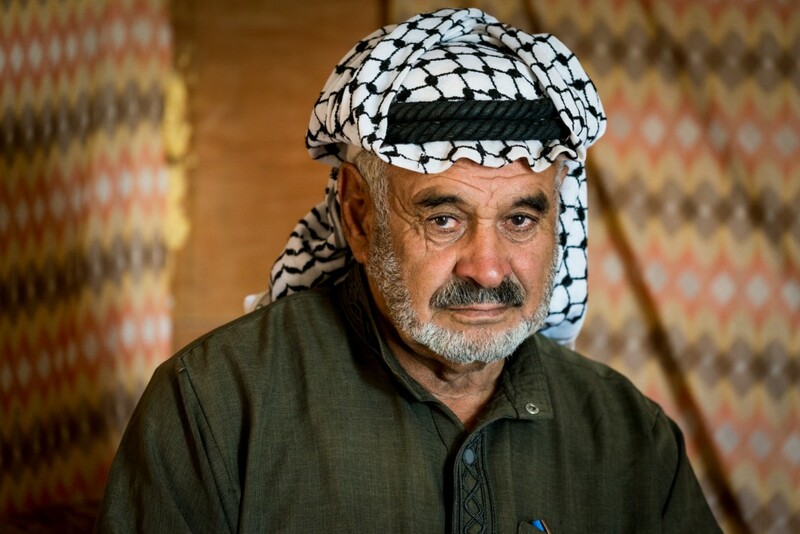 My family rebuilt their lives in Susiya, across the 1949 armistice line in theWest Bank. 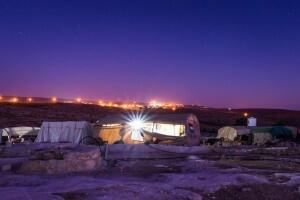 The archaeological and tourist site from which the residents of Susiya where expelled. 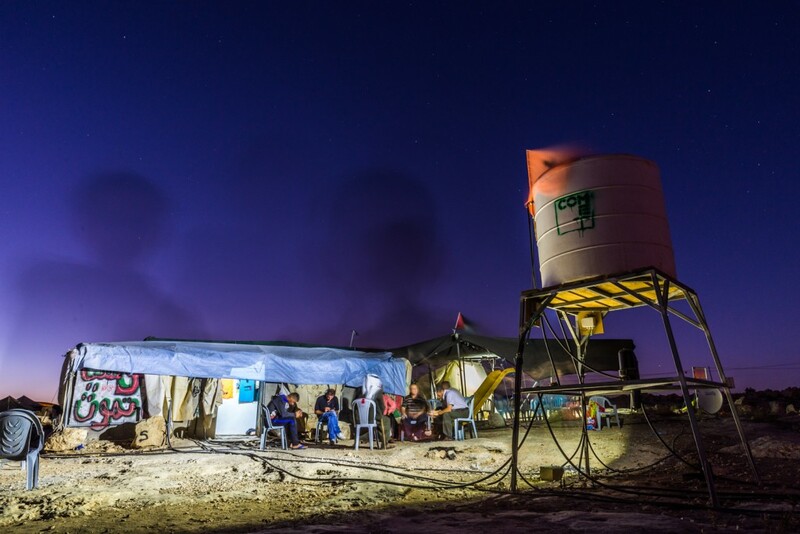 In 2012, the Civil Administration branch of Israel’s Defense Ministry issueddemolition orders against more than 50 structures in Susiya, including living quarters, a clinic, shop and solar panels. 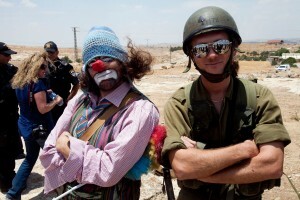 The reason given in these orders was that our village was built without permits from the Israeli military authorities. 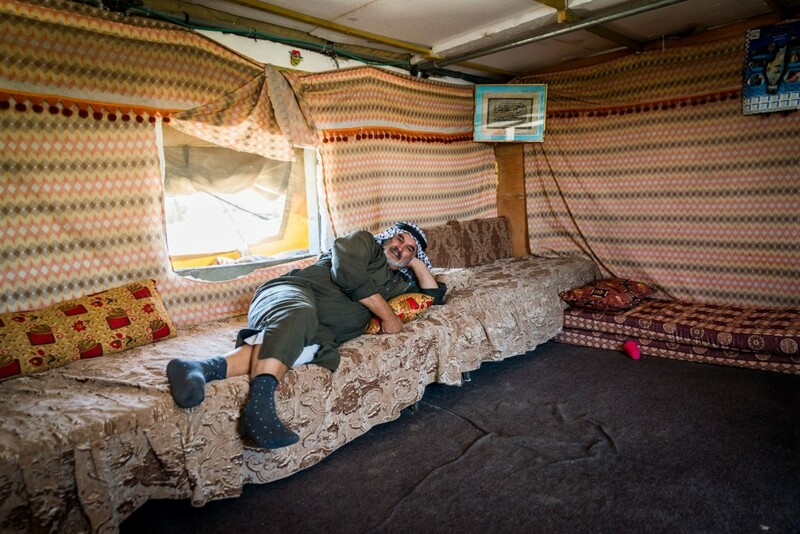 The Palestinian village of Khirbet Susiya has existed in the South Hebron Hills since at least the 1830s. 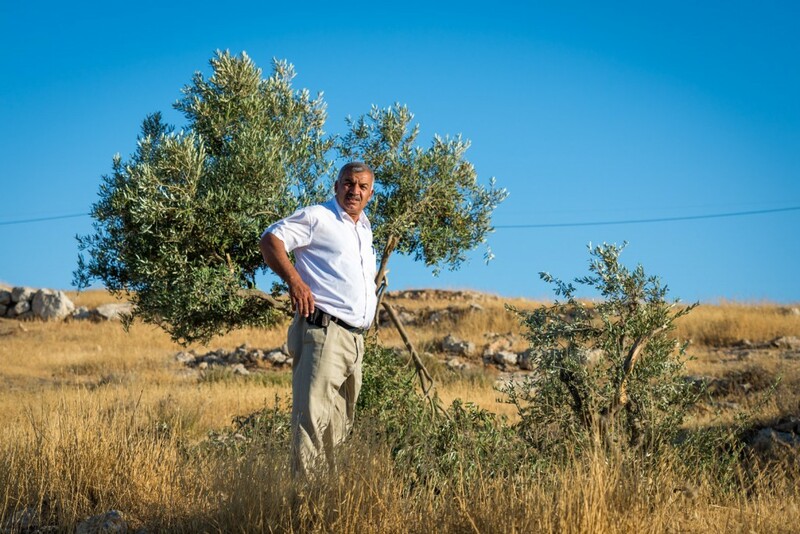 Its residents have traditionally made a living from shepherding and growing olive trees. 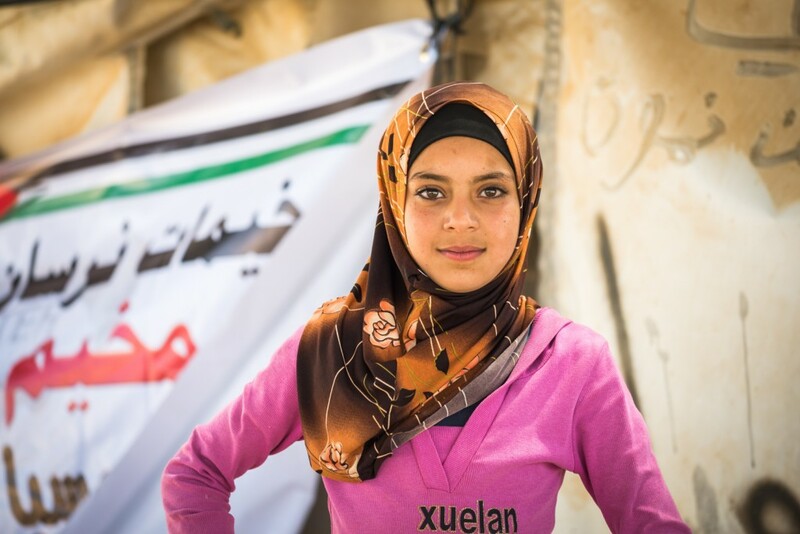 In 1983, the Israeli settlement of Susiya was established near the village, on Palestinian land that had been declared state land by Israel. 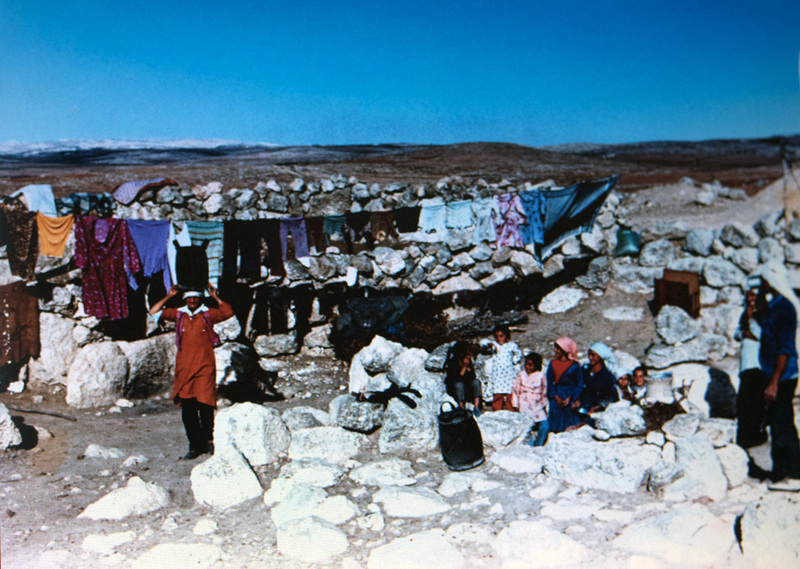 In 1986, about 25 families were living in Khirbet Susiya, in caves and structures. 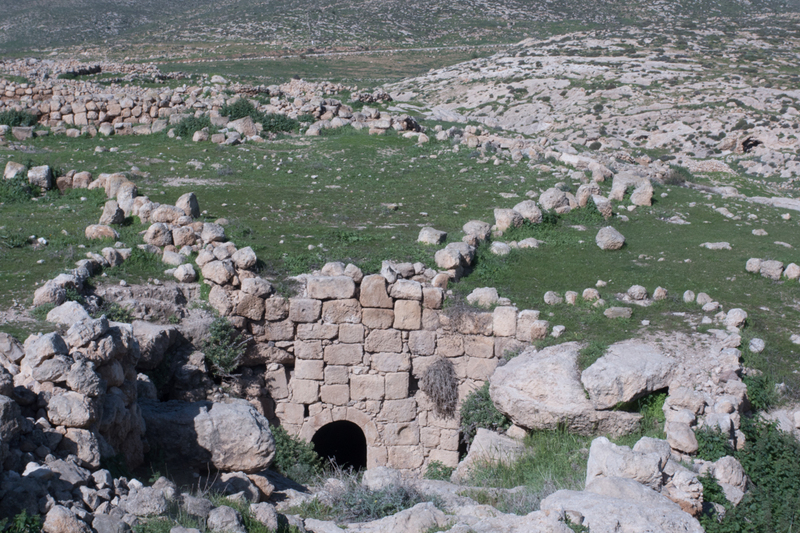 That year, the Civil Administration declared the village’s land an “archaeological site”. 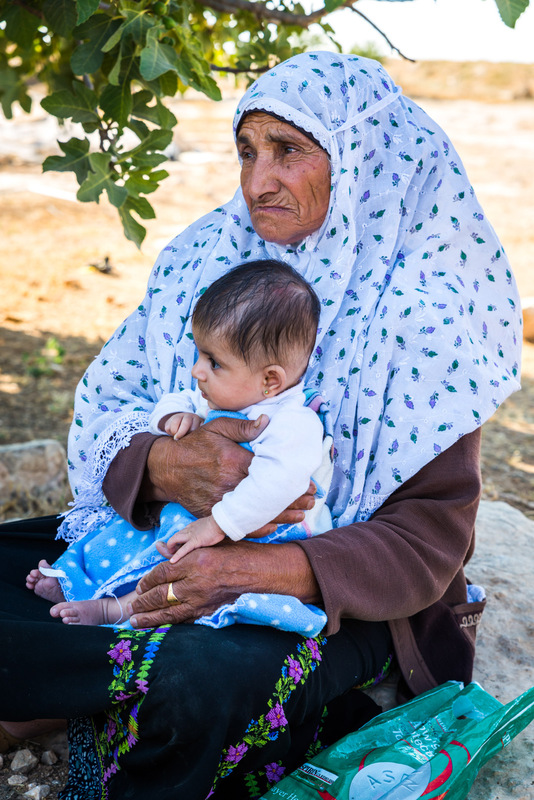 The land was then confiscated “for public purposes” and the Israeli military expelled its residents from their homes. Having no other option, the families relocated to other caves in the area and to flimsy wooden-framed shelters and tents which they erected on agricultural land a few hundred meters south-east of the original village and the archeological site. The military expelled the residents again several times, most recently in July 2001, shortly after Palestinians killed Israeli Yair Har Sinai, a resident of the Susiya settlement. During the expulsion, carried out without warning, soldiers destroyed residents’ property, demolished their caves and blocked up water cisterns. 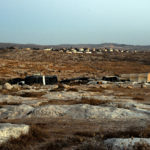 In September 2001, further to a petition by the residents to Israel’s High Court of Justice (HCJ) filed by Attorney Shlomo Lecker, the HCJ issued an interim order that prohibited further destruction pending a ruling on the petition. In the following years, pending a ruling, the residents had to deal with an impossible reality. 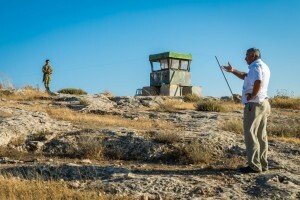 On the one hand, they had to erect homes and structures for their livestock after the military destroyed their previous ones; on the other hand, the Civil Administration refused to prepare a masterplan for the village that would enable its residents to build homes legally and connect to the water and power grids, and rejected residents’ applications for building permits. The people of Khirbet Susiya were left with no choice but to build temporary buildings and residential tents. 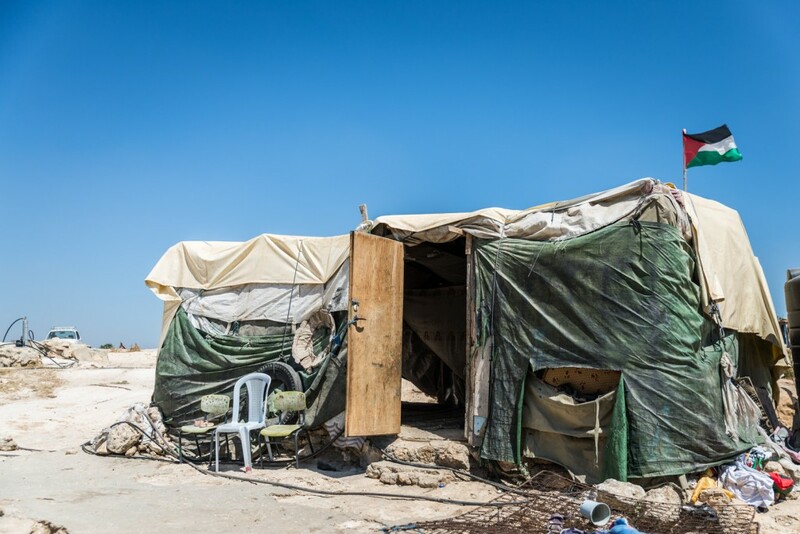 The Civil Administration then issued demolition orders for the new structures which, they alleged, were not covered by the interim order. In June 2007, the HCJ decided to vacate the petition, without making a ruling. 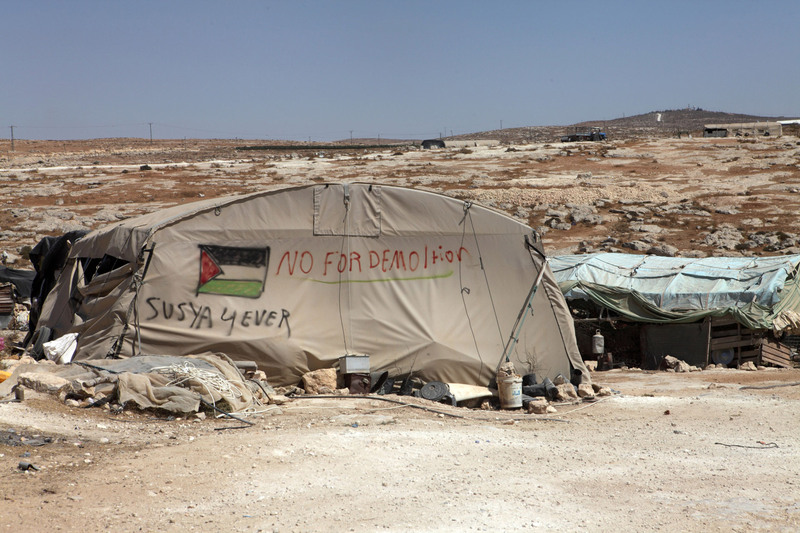 The Civil Administration continued to issue demolition orders for dozens of structures in Khirbet Susiya. 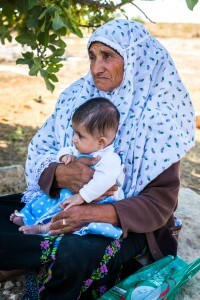 Over the years, the residents filed further petitions in an attempt to prevent the demolitions and plan the village legally, but the justices refused to prohibit the demolition. In 2011 the Civil Administration demolished ten residential structures in the village, six structures used for making a livelihood and four wells. 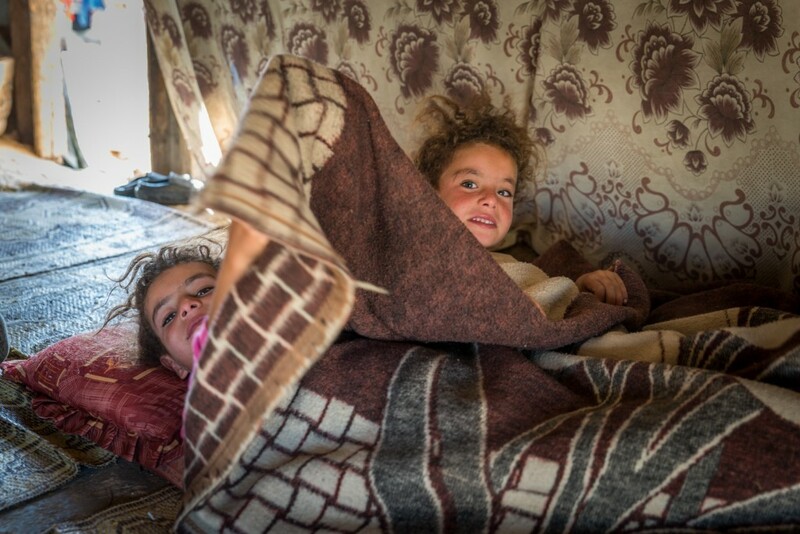 Currently about 250 people live in Khirbet Susiya on a regular basis, and some 100 others live in it for part of the year, as their livelihood is seasonal. In late 2012, Israeli NGO Rabbis for Human Rights submitted a masterplan for the village to the Civil Administration, on behalf of the residents. 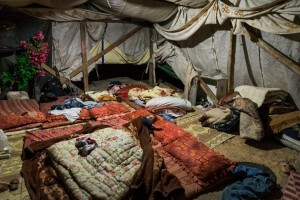 In January 2013, the state notified the HCJ that the Civil Administration was evaluating the plan and that, until a decision was reached, demolition orders for that land would not be carried out. In October 2013 the Sub-Committee for Planning and Licensing of the Civil Administration’s Supreme Planning Council rejected the proposed masterplan. 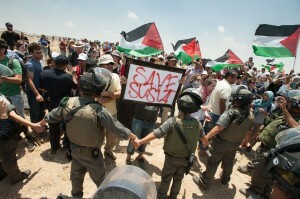 Among its reasons for rejecting the plan, which together conveyed a patronizing and unprofessional approach, the Civil Administration argued that the significant scattering of the small villages – including Susiya – in the greater Yatta area results in such high expenses for the provision of education, welfare, religion and health services that the funds of the town of Yatta are insufficient to adequately provide them. This is remarkable given that the Civil Administration itself supports the legalization of dozens of tiny illegal settler outposts scattered throughout the West Bank, and has refused to connect the Palestinian village to water and power supplies. 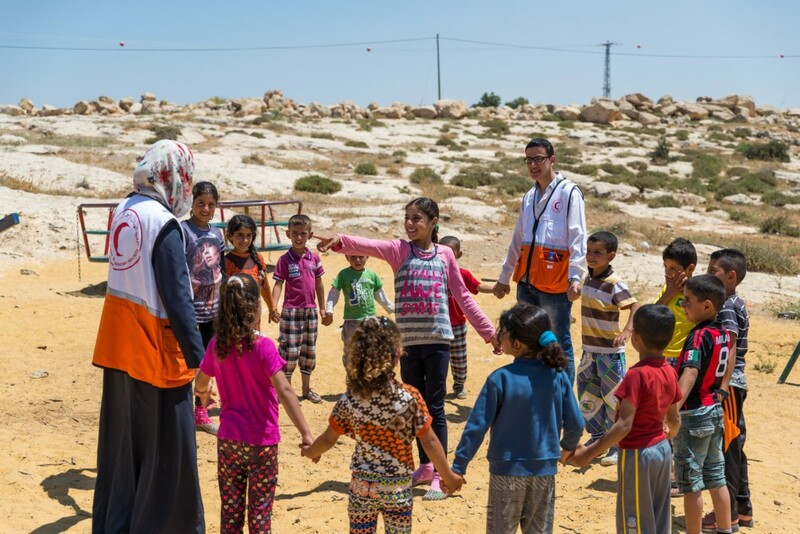 The structure of urban life means meeting new people, bringing people closer to one another; it multiplies opportunities and broadens the horizons of each and every person within his family, his tribe, and society at large. 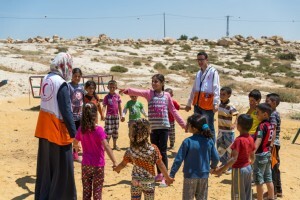 Therefore, we see the current plan as yet another attempt to keep a poor, downtrodden population from advancing; from choosing between partial income and other resources; it is an attempt to prevent the Palestinian woman from breaking the cycle of poverty and depriving her of educational and professional opportunities. 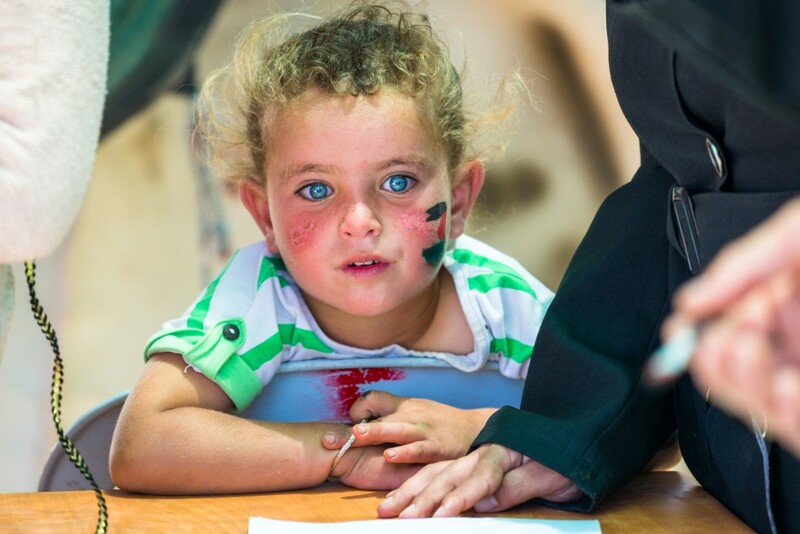 Similarly, by sentencing the Palestinian child to life in a small, stultified village with no means for development, the plan keeps the child from being aware of all the opportunities available to any other person. It is our recommendation that the plan be rejected out of hand. The Civil Administration recommended that the people of Susiya make an alternative plan for a location closer to the town of Yatta. 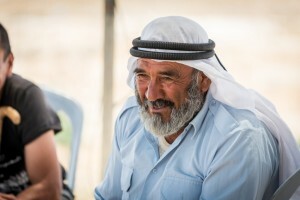 As Susiya lies mere kilometers from Yatta, which is in Area A, the recommendation effectively means transferring the residents of Susiya out of Area C.
In February 2014, Israeli NGO Rabbis for Human Rights petitioned the HCJ, arguing that the Sub-Committee for Planning and Licensing had made an unreasonable decision in rejecting the master plan. 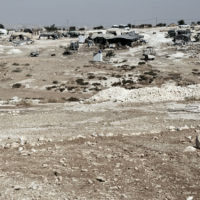 The petitioners requested that the HCJ issue an interim order preventing the authorities from demolishing the village pending a ruling on the petition. 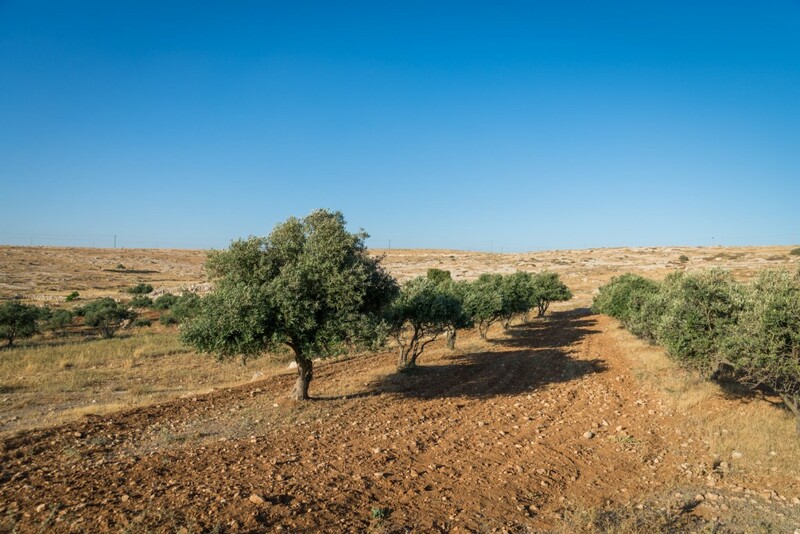 In late March 2015, the state submitted its response, requesting the court reject the petition, claiming there was no justification for intervening in a justified decision by the planning institutions to reject the plan. In their response, the representatives of the state noted that the villagers have continued to build structures illegally. In early May 2015, Justice Sohlberg struck the residents’ request on the grounds that illegal construction had continued in the village after the petition was filed, actions that he termed “taking the law into their own hands”. Justice Sohlberg added that “the Court has noted the willingness of the authorities in the area to work towards examining promotion of an alternative planning cluster”, and that the court will hear the petition sooner rather than later. 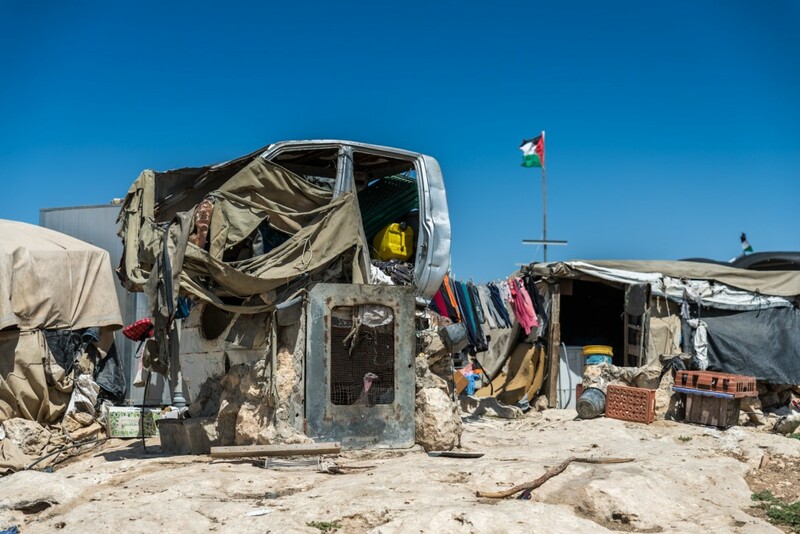 This decision means that at present, there is no legal impediment to carrying out the dozens of demolition orders issued for village structures. 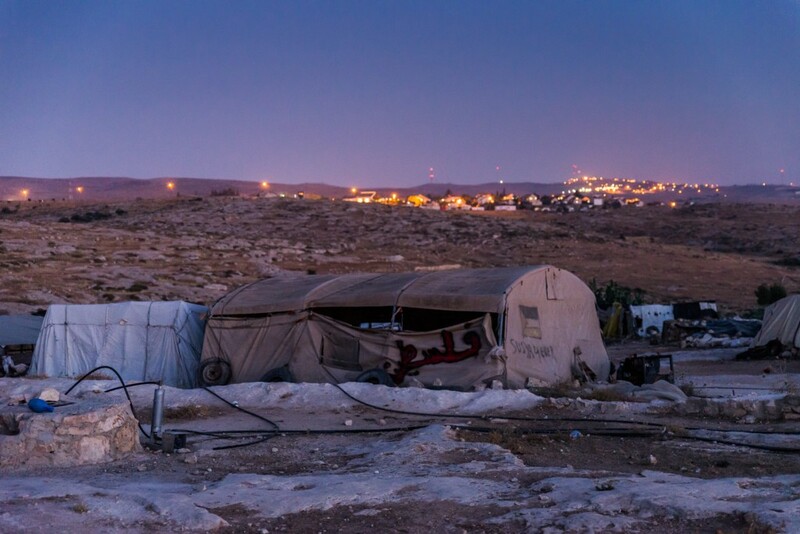 The residents of Khirbet Susiya face imminent demolition of their homes, structures for public use, and agricultural facilities. 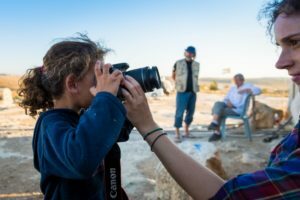 ActiveStills and the Israeli Committee Against House Demolitions movie about the house demolitions and displacement of Palestinians in Palestine and Israel. The movie is about the meaning of home. 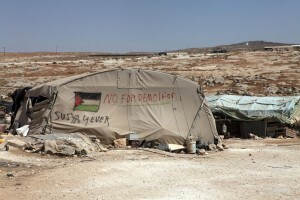 Don't Expel Palestinian Susiya ! A short animation by Rabbis for Human Rights explaining the situation in Susiya. Susiya, a Palestinian community located in the Hebron governorate in the south of the occupied West Bank, is currently home to 55 families who have been living in this location for decades. 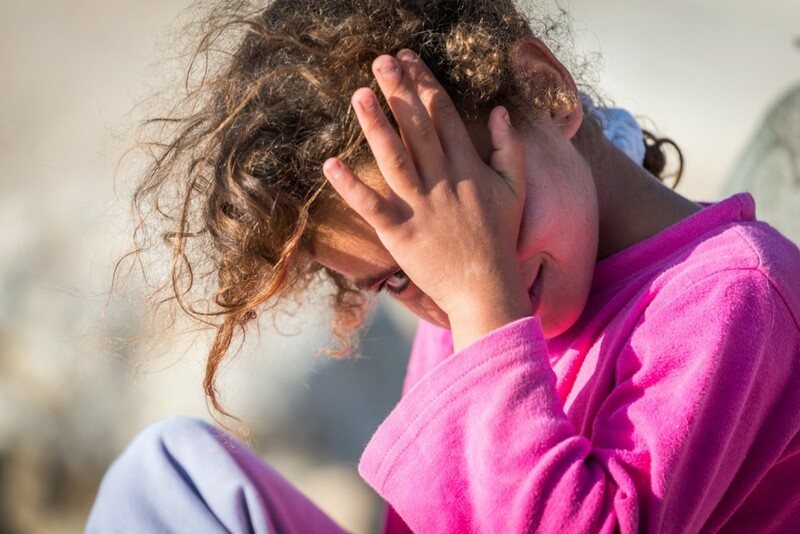 In 2015, Susiya residents launched an international call for help to stop demolitions of their properties and to achieve recognition of the existence of their community through a masterplan, allowing them to build. 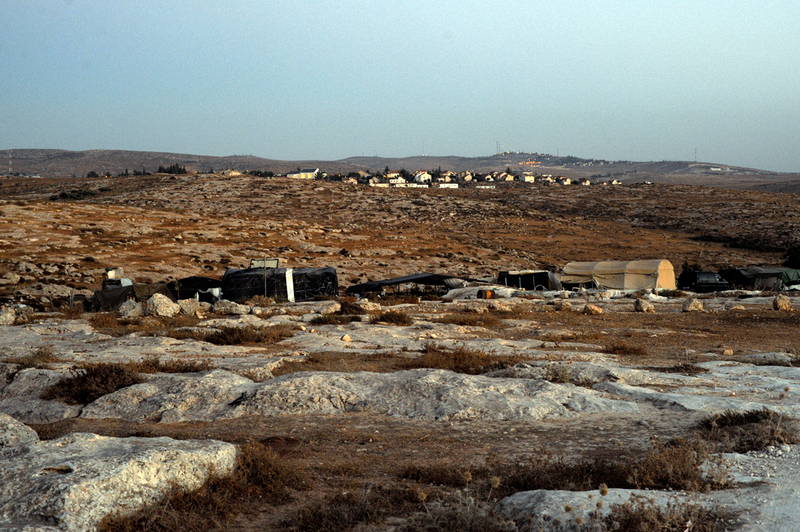 About 170 community structures, located in Area C, have outstanding demolition orders. 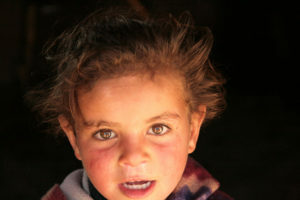 Susiya, a Palestinian village in the Occupied Territories. 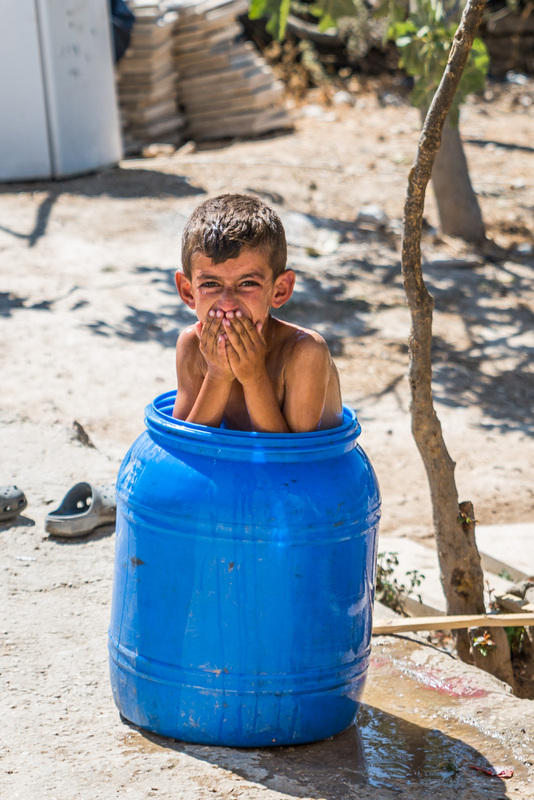 The state of emergency has become a daily routine. Every walk with the sheep resembles a negotiation over the remaining pastures. 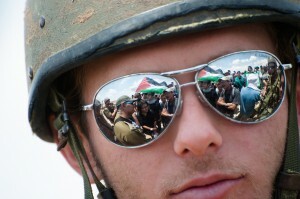 Resisting means to persevere, to tell your story, to invoke the past or a time to come. 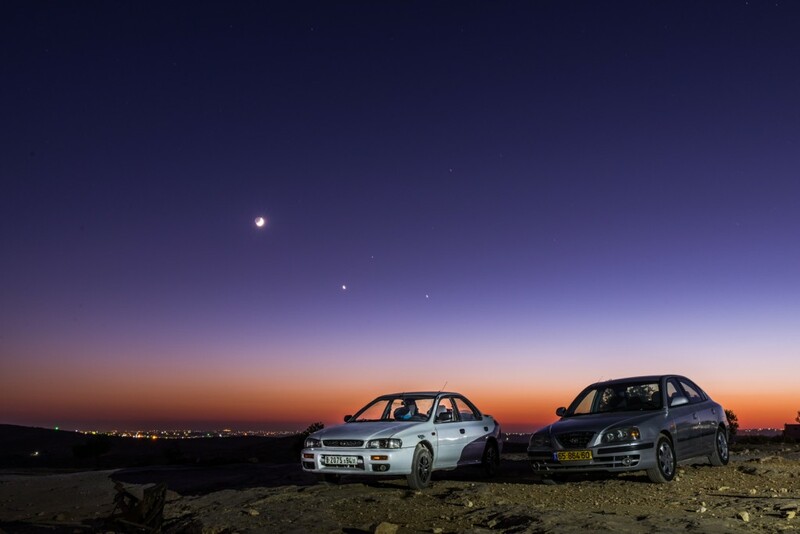 But how can we relate to this situation, far away as it seems from here? The film follows some of Susiya’s residents through their day-to-day lives: fragments, mere suggestions, to form an open space of meaning. 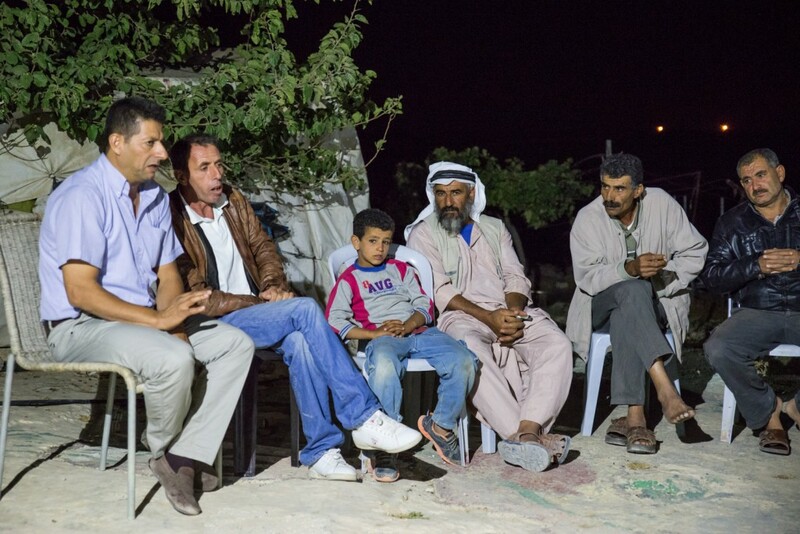 Nasser Nawajha takes his six-year -ld son Laith back to his native village of Susiya, in the South Hebron Hills of the occupied West Bank. 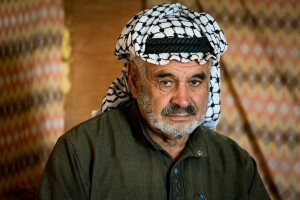 Nasser’s family, along with all the other families of Susiya, were expelled from their village in 1986 when Israel turned it into an archaeological area. 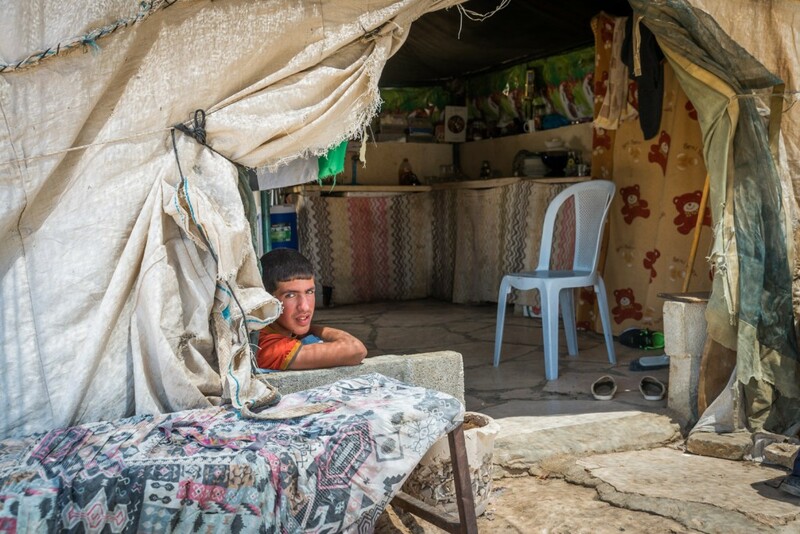 The villagers are now, yet again, facing imminent expulsion from their homes and caves. 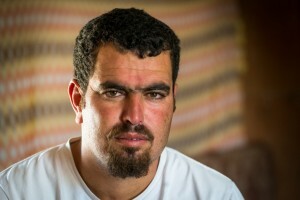 This film, directed by Max Sänger, follows Haja Sara, a resident of the village of Susiya. The Village of Susiya is a collection of tent dwellings located in “Area C” of the occupied West Bank. 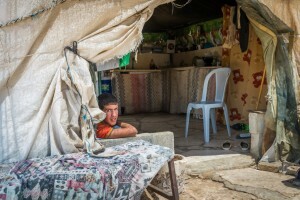 But as with many villages in the West Bank, Palestinians and Israelis disagree over who is entitled to live in the area. 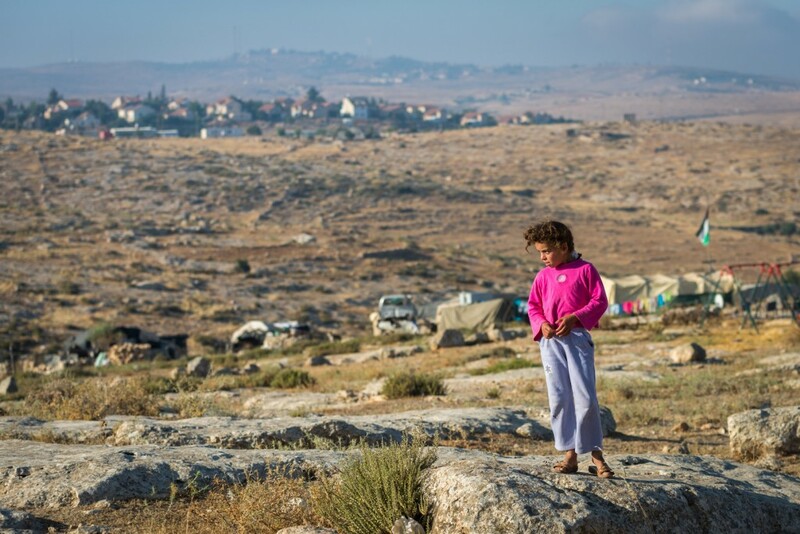 The Israeli Civil Administration has now issued demolition orders for the village. This week, a temporary injunction runs out and the village becomes subject to a demolition order again. 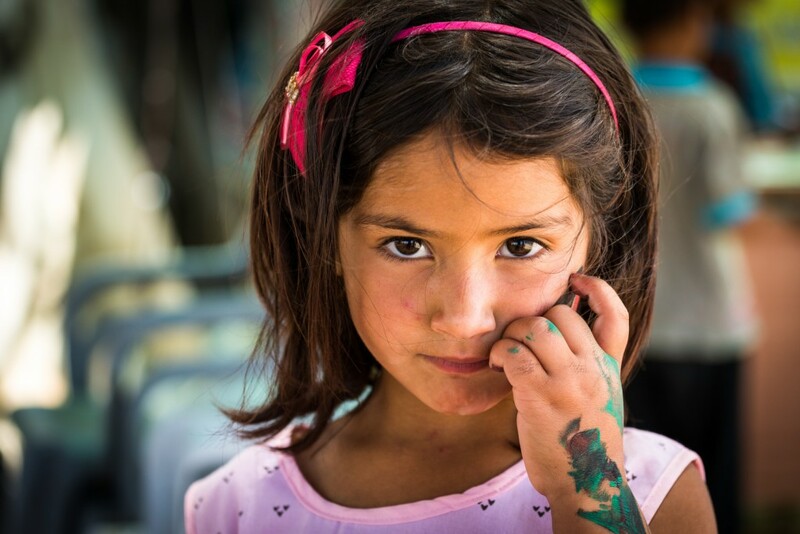 A factsheet report by the UN’s Office for the Coordination of Humanitarian Affairs (OCHA). 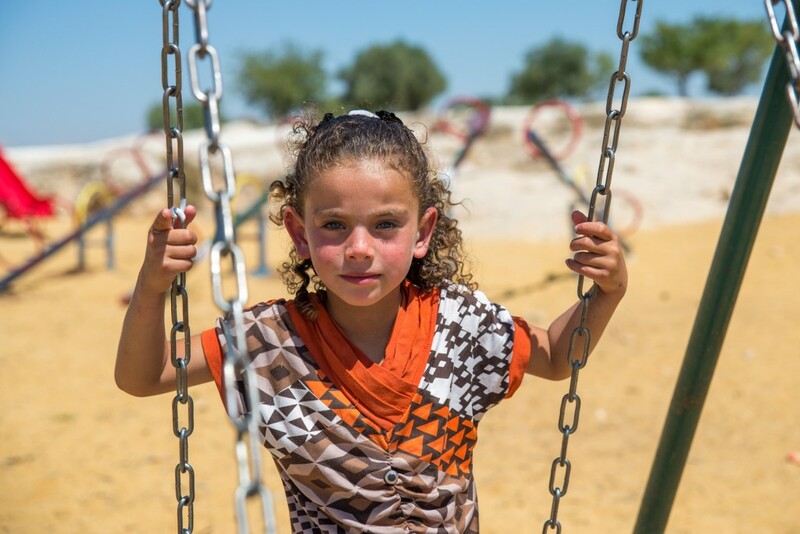 Susiya residents in Area C are at imminent risk of forced displacement. All structures located in Area C have been served with demolition orders, which can be implemented at any moment. 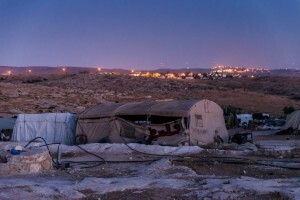 In addition, the Israeli authorities have recently expressed their intention to “relocate” this community to a nearby site. 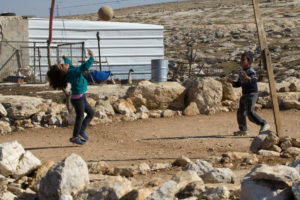 Combined with longstanding access restrictions to basic services and grazing land, and systematic intimidation by Israeli settlers, this creates a coercive environment, which raises concerns about forcible transfer.